Arthur was born at Heath Road, Fairfield, Buxton, in March/April 1893 (Baptised 26 April at St Peter's Church). He was the son of the Henry (Railway Steam Riser) and Sarah Anne Riley. He had an older brother and sister, Mary E. and Walter Sampson, and 5 younger siblings, Ethel, Lizzie, Gladys, Frank and Beatrice. Ten years later (1911 Census RG 14/21234) the family had moved to 73 King's Road, Fairfield, and Arthur had two more younger sisters, Beatrice and Ina. Arthur was working as an "Engine Cleaner". When he enlisted he was 5 ft. 6¾ ins. (1.69 m.) and weighed 10 st. 7 lbs. (66.7 kgs.). On 22 June 1912 Arthur married Jane Bennett Bingham of Litton Dale, Buxton, in St John the Baptist Church, Tideswell, Derbyshire. They had two children, William Henry (19 May 1913) and Reta (30 August 1915). When Arthur enlisted in November 1915 the family was living at Sherwood Road, Tideswell. Also registered as a 'child' was Joseph Bingham, born 3 January 1905, presumably Jane's son by an earlier marriage. 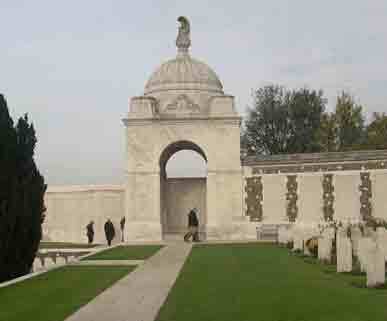 Arthur originally enlisted in the Sherwood Foresters, in Bakewell, for "The Duration of The War", on 22 November 1915. However, as no date for entry into France is shown on his Medal Card, but his Service Record shows he joined the BEF in France on 24 April 1917, sailing from Folkestone to Boulogne. By then he had transferred to the 118th Company of the Machine Gun Corps, which was formed in the 39th Division at Wallon-Cappel on the 21st March 1916. At that time the 117th Brigade, 39th Division, contained both the 16th Battalion (Chatsworth Rifles) and the 17th Battalion (Welbeck Rangers) of the Sherwood Foresters. Alternatively - bearing in mind Arthur's Service Number in the Sherwood Foresters (68218) - The Notts and Derby medal rolls show very few (only 3) men with 68*** numbers which suggests something different going on within this range of numbers. The Silver War Badge numbers in this range were being issued later in 1916, so it could be that No. 68218, was issued to him at the Notts and Derby Depot upon his enlistment/mobilisation in late 1916 and soon after he was transferred to a Training Reserve Battalion and then to the Machine Gun Corps. Within a month of joining his unit Arthur was admitted to 18 General Hospital, via 30 Casulaty Clearing Station, suffering from "P.U.O." ("Pyroxia of Unknown Origin"). On his discharge, he was posted to 12th Battalion, Training Reserve, Sherwood Foresters, before Arthur finally joined the 118th Company, Machine Gun Corps, on 10 August 1917. Only 9 days later he was killed in action. The Company War Diary for the 19th August 1917 shows that they were at "Bluff Trench", but only reports that "Weather good" and that the barrage was lifted at 9.00 a.m. Arthur was the only man from his 118th Company to be killed for a week either side of the date of his death; possibly he fell victim to a sniper. 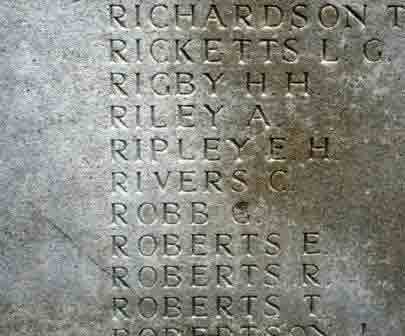 However, he now has no known grave and is commemorated on the Tyne Cot Memorial. 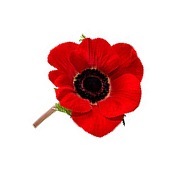 1st November 1918. He is buried in Fairfield Churchyard, Buxton.